Pastor John Harrison and I were mandated by Director Joseph Boachie-Danquah to travel to Nigeria, Bayelsa State February 14, 2013, to conduct both graduation and ordination programs at one of our sister Bible Schools. We arrived in Bayelsa on February 15 in the evening. The Co-coordinator of the Bible met us on arrival and some selected students awaiting graduation. 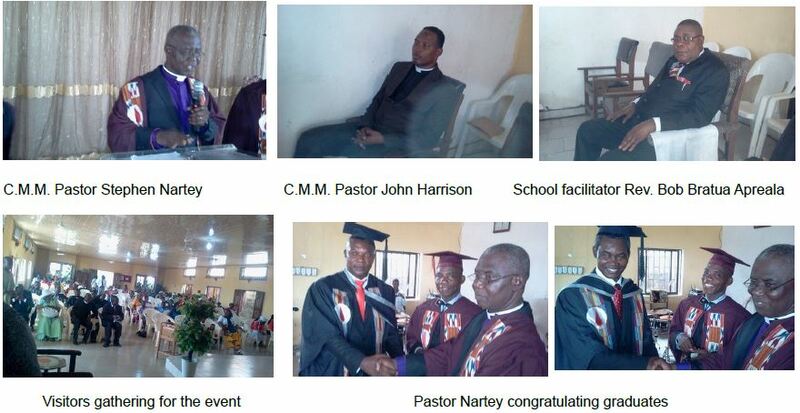 The two-day program commenced on Saturday, February 16, 2013, with both graduation and ordination and on Sunday, February 17, 2013, it ended with a Special Thanksgiving Service. 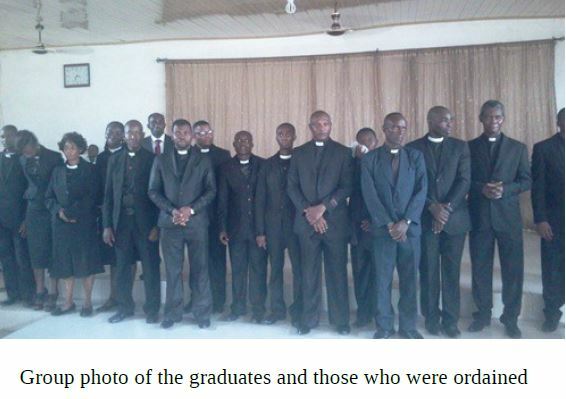 In all, seventeen (17) graduated and the same number was ordained into their respective ministries. Among the graduates were two were females. The majority of the students were already in full-time ministry, among them was an Ophthamologist who had suffered many years of partial paralysis on her left side. As the ceremonies progressed she felt the presence of God when suddenly, she was miraculously healed of her symptoms! She was given the microphone to share with the audience of God’s healing power. In her testimony, it was learned that when she was young and before she knew the Lord, she would experience attacks from demonic forces. Sometimes she would see a hand without a body appear before her and strike her. There were also times she also sensed her spirit leaving her body. She noticed the manifestations didn’t occur when she was near a Christian. This ultimately led her to accept Jesus as Savior. She was saved spiritually but still bore the burden of partial paralysis. That is until the day of the graduation and ordination! She returned on the following Sunday to give thanks for her continued healing. Several days later, in a follow-up phone call to the CMM administrator, she again expressed her gratitude to the Lord for her healing. a) With the level of the structured curriculum like ISOM based on practical intuition, the authorities should, as of necessity, provide a flat screen with additional speakers to facilitate lectures. b) It was previously perceived that the Bible School was possibly fake and fraud due to several unfortunate postponements by the Coordinator. Prayers were offered for early graduations and the Degree Programs to commence soon. c) Students ready and prepared to advertise the Bible School for triumph in whichever way possible. We noticed that throughout our lodging and travelling back home, the students were very instrumental in our welfare and highly recommended them for that. We finally left Bayelsa State on February 18, and arrived back in Ghana on February 19, 2013, consoled in our hearts that the Grace of God Almighty moved and blessed the students and audience. Many lives were touched during ministration.